The Twenty-First, Twenty-Second, Twenty-Third, Twenty-Fourth, and Twenty-Fifth Dynasties of ancient Egypt are often combined under the group title, Third Intermediate Period. After the reign of Ramesses III, a long, slow decline of royal power in Egypt followed. 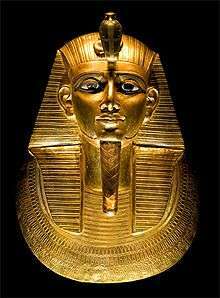 The pharaohs of the Twenty-First Dynasty ruled from Tanis, but were mostly active only in Lower Egypt which they controlled. This dynasty is described as 'Tanite' because its political capital was based at Tanis. Meanwhile, the High Priests of Amun at Thebes effectively ruled Middle and Upper Egypt in all but name. The later Egyptian Priest Manetho of Sebennytos states in his Epitome on Egyptian royal history that "the 21st Dynasty of Egypt lasted for 130 years".